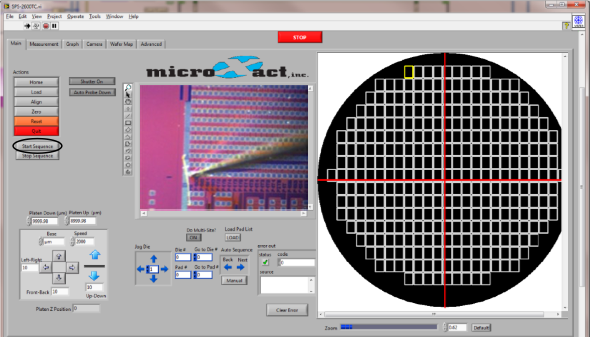 The automated systems are driven by MicroXact’s XactTest™ probe station software. The Interface is designed to be simple and convenient, allowing users to easily set up an automated testing procedure for nearly any kind of device. The LabView-based XactTest software solution is logically structured and allows for probe station control and easy integration of the customer’s own test and measurement equipment either within the framework of XactTest™ software or using its extensive set of SCPI commands. 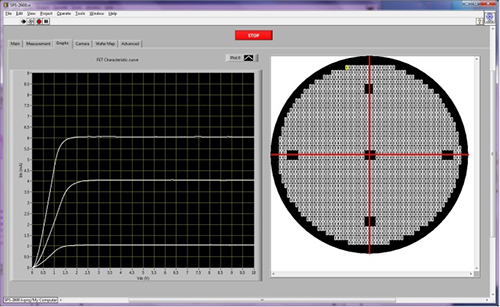 For owners of Tektronix equipment and Keithley Automated Characterization Suite (ACS) Software, the driver for XactTest™ software is available. 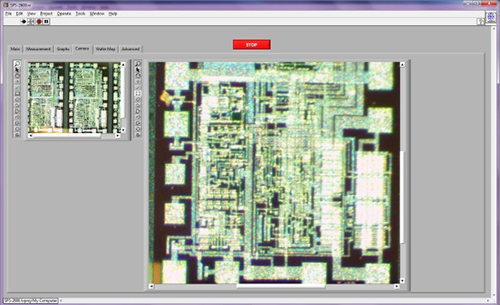 Software allows user to generate a wafer map of the devices and then save the map to be imported later. Map editing feature lets users quickly and easily mark specific die or regions of a wafer that they want tester of skipped. Point-and-click navigation lets user click on the map to quickly move the chuck to a specific device on the wafer. 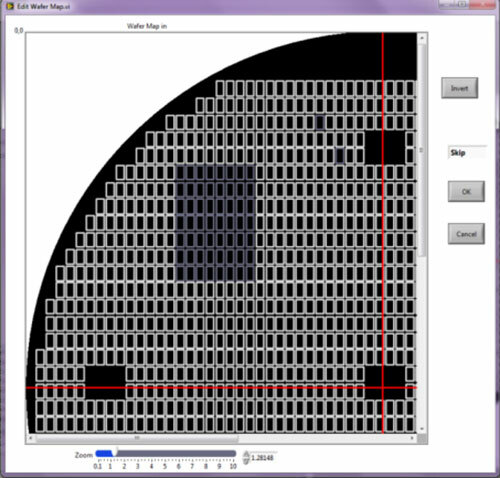 3-, 4- or 5-points software guided alignment corrects for mechanical misalignment of wafer and will correct for height variation across a wafer. 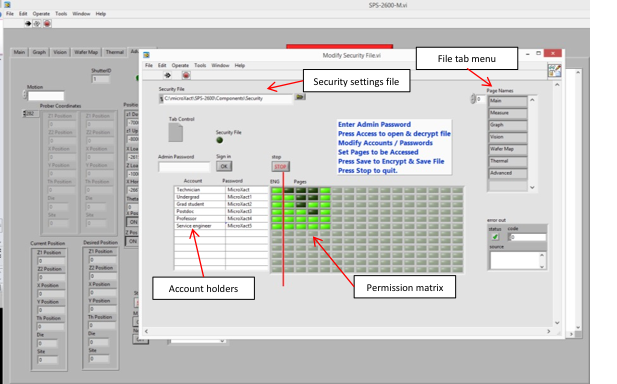 Full control of the thermal chuck and light shutter are built into the software permitting complex and highly customizable testing sequences. Extensive SCPI command library is available for probe station control and integration with customer’s own or 3rd party automation solutions.